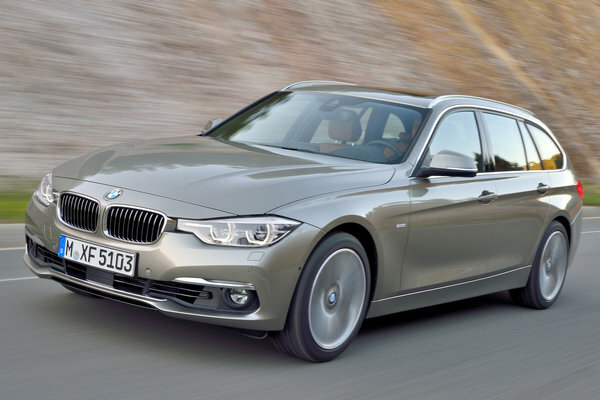 The 3-Series has long been the standard-bearer in one of the industry's most competitive segments and is still offered in a traditional wagon body style. Since US buyers tend to ignore station wagons, there are only two models offered: a gas powered four-cylinder 330i, and the diesel powered four-cylinder 328d. BMW's xDrive all-wheel-drive system is standard on both models. There are now a number 3-Series related models which include the hatchback Gran Turismo and X4 crossover. Unlike the Gran Turismo, the wagon retains the same dimensions as the sedan without the increased ride height of the X4. Starting at around $43,000, the 3-Series wagon offers all the style and amenities of the sedan, with an extra dose of utility in the back.